Have I told you what a chore to do 四五快读 with my boys? It was challenging and dry for my no.2 initially. However, after using all the 5 senses as in my Chinese Learning Videos Series , it became more alive to J. I discovered this series 3 years back. Then, A was P1 and J K2 while E was in Nursery. It took close to 2 years to just plow through Book 1 and 2 with both J and E. In the end, after J entered P1 last year, I gave up. He had his own homework in school to cope with. 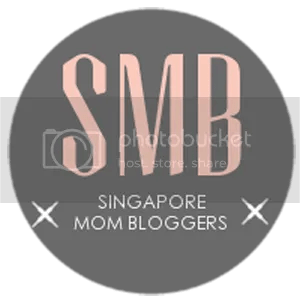 B) More than 30 posts on tried and tested learning tips/resources from other Singapore Mom Bloggers. 1) Provides mini flashcards which I snip off the edges a bit to fit into the Daiso card holder for review. 2) Provides the new words in large fonts to focus and pairs up the new word with a familiar word that they have covered in the earlier book series. 3) They provide you with the ‘explanation/briefing’ for you to read aloud to teach your child the meaning or context of the new word. In other words, you need to at least be able to read to your child this portion. 4) The sentences provided makes sense and employs words that have been learnt in the previous chapters and books. This aids in the child’s progression as they are required to recall the words and apply them to a new sentence structure. 5) Pictorials like the below are given for the first 2 books to guess and ‘match’ the sentence they require you to read to make sense of the sentence. For the third book, it has pictorials that illustrates the scenario fo the story sentences. You do not need to match the pictures. 6) This ‘game’ of recognition of words and counting of the same words aids memory recall and clarifies the differences in words that might resemble each other. Here is a good time to help them distinguish the differences. You can play it in a row or a column to practice word recognition. 7) These 2 sections – 1.Go through the phrases of the below section again, this time with explanation and context. – 2. Comprehension questions of the sentences that they have read. Generally, it just needs a bit of time to get used to the syllabus and once the routine is set, this can be done within 20 minutes per session. I do short sessions with only 2 to 3 new words each time. The next session, I will review the words before proceeding to another batch of new words. In this way, my girl gets the reinforcement she needs. By the end of the whole chapter, she has a good grasp of each word. She looks forward to the game of listening skills seen in this instagram video link. I find this series meaningful and effective in laying an adequate foundation to learning the language. I would strongly reccommend this 四五快读 series to be used in the early years so that they can have a good foundation before entering P1. It will take much more discipline and effort to continue this upon entry to Primary school. I think this will be great for Homeschoolers. Recently, I created this board by recycling our old baby cot base. This acts as a noticeboard for learning new phrases in both languages. As I read aloud the chinese stories to my girl, I was inspired and excited to learn the interesting phrases. I copied them down and stuck them onto this board for future reference. I thought to myself, why not model a thirst for learning? This is a new initiative and I will share more when this habit spreads to the rest of the family. : ) I have posted a few chinese book reviews on my instagram and the above phrases were copied from The diary of the ladybug. In the below, 爱吃书的小孩 the boy who loved to eat books! This is about how a boy who ate so many books that he became unwell and decided to stop eating but reading them instead. E traces what I wrote for her- the phrase she likes best in the story! The book wants to eat the boy! Lol. Then she sticks the phrase on my board too. I hope the boys will catch this habit in time to come. As in all kinds of training, be it habits and learning, discipline and consistency is the key to success. If this method is not for you and your child, have no worries! I have compiled other resources for you to check out! B) More than 30 posts on tried and tested learning tips/resources from other Mom Bloggers. Which Chinese Book Dictionary to get? 3. Using Learning Tech Program package without teaching yourself by The ChillMom. Kids R Simple . She also has 3 things to know to help your children learn chinese. 5.Chinese in a box program which gives you a hands on and artsy activity package by Growing with the Tans. 6. Xavvylicious has a series of different resources that covers in-depth teaching. Great for homeschoolers too. Mi Xiao Quan’s Diary – she creatively uses this series for her son’s chinese book review. 7. Beanie N Us has practical recommendations for Primary One syllabus. 10. If you really cannot afford the time and energy to gather and do the ideas above, you can consider Connected Learning Online Course Review by Mummy Ed. It saves you even the time to send your child to the tuition venue. Lastly, do follow me at GrowingHearts123 Instagram for more fun chinese videos, free printables and chinese storybook reviews along the way! Happy Growing in our Chinese language! Next Run with Asia’s FIRST Kung Fu Panda and Friends of Dreamworks 2017 Race! So many resources compiled in a place. I need to bookmark this. And thanks for linking up! Thanks so much for this wonderful and resourceful post. Love all the links that you put. May I add one more link, which is my blog. I’m a homeschooling mom from Hong Kong and a new blogger, and I created tons of FREE and some paid Chinese resources for little kids (both native Chinese or non-native Chinese speaking). It works for my kids when they have some fun printables and games to play with while they are learning Chinese at the same time, so free feel to come check it out at http://www.fortunecookiemom.com. Thanks for your post again. Thank you so much for adding my website to the already amazing list of resources!! ❤ Can't wait to check them all out!